The first step in any successful engagement is targeted research. The success of a business initiative is dependent on the breadth, depth and quality of its foundational research. Whether I conduct the research or it has been completed before my engagement, the research findings should be shared and approved by all project stakeholders. Competitor Matrix: Tracking the "Best in Breed" solutions to ensure the client beats its competition on a feature-by-feature basis. Whenever one of my clients tells me that they know exactly what is happening in the market and therefore an industry audit is not important, I begin to worry for the future of the project. Even when a few members of a client team understand what's going on in the market as a whole, they rarely have an opportunity to share that with the rest of their organization. I feel its essential to identify who has the "Best in Breed" solutions for each component of a online offering or service. Likewise, each feature and function of the company's site or app need to be evaluated and ranked across the entire industry. Heuristics based on industry best practices are used as evaluation criteria. 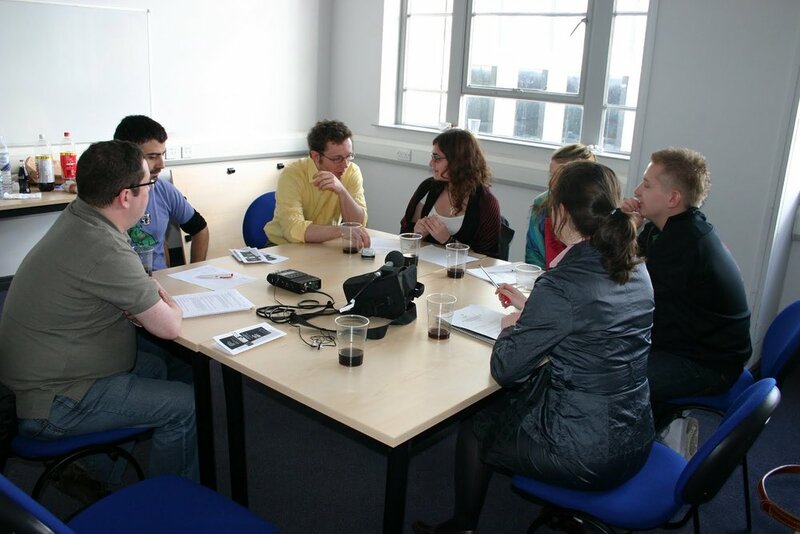 Focus group of prospective students interested in applying for graduate school. Though they have lost favor over the past few years, focus groups are a quick and effective way to assess customer attitudes and preferences. Effective moderation is necessary in order to avoid group think. I've been leading focus groups for more than 10 years and have developed an array of activities - sorting, ranking, word associations - that help identify customer segments and elucidate user needs and preferences. If these groups are conducted effectively, they can shed a great deal of light on your customer base. Motivatability: Understanding what motivates a customer is the first step in creating a site or app that seamlessly offers them what they are looking for. One-on-one ethnographic interviews are an effective way to go deeper on any particular topic. These can range from discussing attitudes and preferences to demonstrating processes and tasks by using software. I've found that ethnographic interviews - combined with a "Think Aloud" approach used as they demonstrate online processes - are a great way to uncover not only preferences and usability issues, but behaviors and motivations as well. One of my secrets to conducting successful ethnographic interviews is to rely on my innate curiosity. I truly enjoy meeting people and nothing fascinates me more than understanding people's reasons and motivations for doing what they do. People constantly surprise me - and I get a kick out of that. Survey: Nothing beats a well-designed survey when its necessary to quantitatively document the needs, desires and behaviors of customer segments. I've discovered that you can saves time and money by including a full set of survey questions when you create screeners for focus groups and ethnographic interviews. This not only allows me to identify the people I wish to include in the study, but it also helps me get a leg up on the quantitative research I need to conduct. Expanding the survey to include more subjects is easy and only requires a bit of cross-tabbing to isolate findings for customer segments that emerge in focus groups. My favorite tools for conducting research are Survey Monkey (for online surveys) and TaskRabbit (for recruiting subjects.) I have also used professional organizations who specialize in recruitment for difficult-to-locate subjects. They tend to be expensive. I've used Craig's List as well, but you should be aware that people are often not who they say they are on this particular site. Video capture of a mobile usability test I recently completed for a large East Coast university. I have been conducting Jakob Nielsen-type usability testing for more than 15 years. I began testing with paper prototypes - Axure has only been around for 7 or so years - and found the method to be the quickest and easiest approach to uncovering usability issues. At this time I would also conduct large-scale tests in a lab setting with more than 60 subjects. I found out that I could come up with the same findings using the quick and cheap Jakob Nielsen approach. I was one of the first I.A.s to use Axure when it first hit the market around 2006. Instantly I found the value of using this tool for wireframes and prototype tests. With Axure I can create a prototype that is pretty much indistinguishable from a real web site or app. I can use this to test against competitors and the current published version. Many organizations do not have the resources to fund the methodology outlined above. 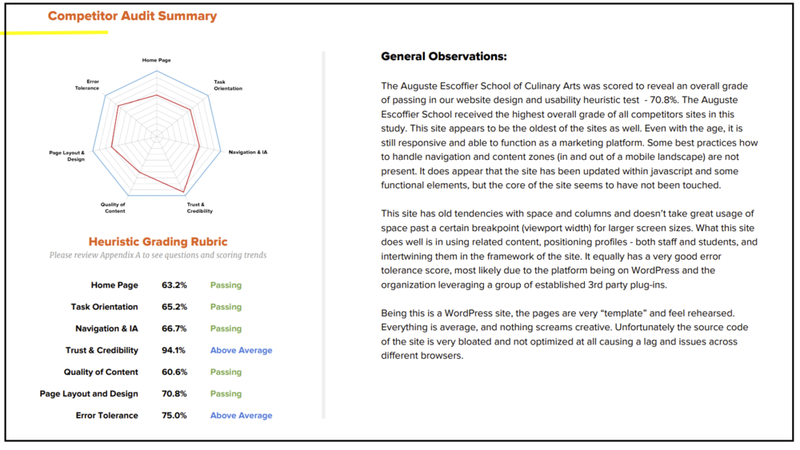 For these clients I generally perform heuristic evaluations of their current site as well as those of their competitors. These heuristics are usually based on industry best practices. Insightful research is only effective if it is shared with the client in an effective manner. Whether the findings are presented as a document or Keynote presentation or both, I have found that it's important that the client team experiences it as a group. Before the I.A. phase begins, you have to make sure everyone is heading in the same direction. 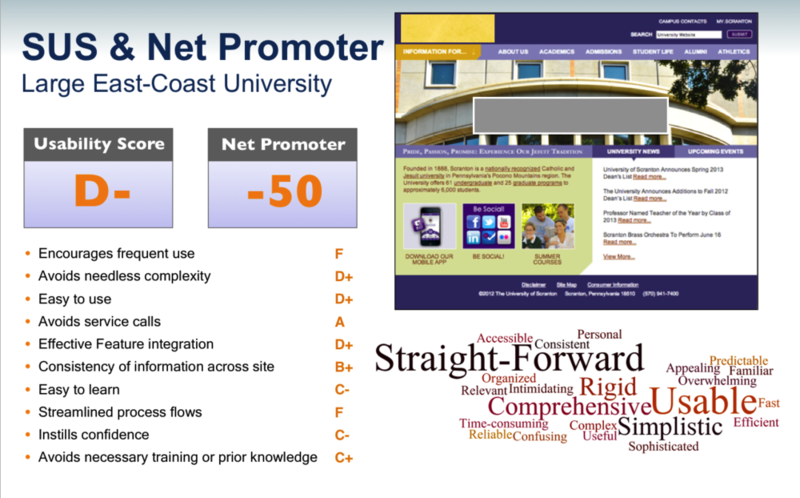 I have found that using SUS (Software Usability Score,) Net Promoter Scores and word association clouds are effective ways to communicate key findings to client stakeholders. Quantitative v. Qualitative Findings: Using well-established tools such as the Software Usability Score (SUS) , Net Promoter Scores and word associations generated by activities designed to assess customer preferences and attitudes elucidates key research findings.